In Europe, garden statues have been popular since Renaissance times. The first garden gnomes, bearded and wearing their trademark red pointy hats, appeared in the United Kingdom and Europe in the middle 1800s. 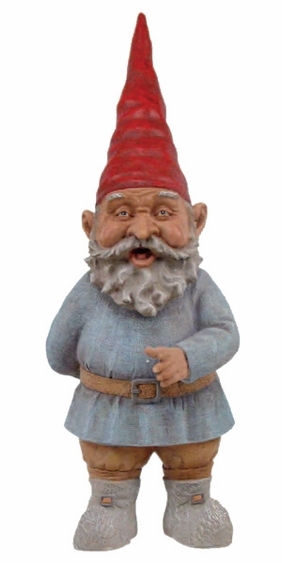 Our Grimmbel Garden Gnome is of this classic style. Along with other lawn and garden decor from GardenFun, you can create your own old-world garden scene. Experiment with formal plantings of flower beds, old stones, wooden benches and statuary. Other figurines with classic appeal include our Zelda, Rumple, Lotie, Merlin and Mordecai gnomes.